The Keli Lane baby murder case divided the nation thanks to an ABC TV series. Now, an army of social-media sleuths is trying to solve the crime, report Fatima Halloum and Helena Abdou. Could social media users be the catalyst to solving a two-decade old disappearance? Keli Lane made headlines in 2010 after she was convicted of murder and sentenced to 18 years in jail for the presumed death of her two-day-old daughter in 1996. It was revealed that within the space of seven years, Lane had concealed five pregnancies. The first two were terminated, the third adopted. Tegan Lane was fourth. But it wasn’t until Lane attempted to put her fifth baby up for adoption that authorities realised something was amiss. Lane has constantly maintained her innocence and is adamant she gave Tegan to the baby’s father, who she initially referred to as Andrew Morris, a surname she later corrected to Norris. The actual existence of Andrew Morris/Norris has been a topic of wide conversation since the three-part ABC series aired in recent weeks, with many believing him to be another fabrication in a series of lies. Exposed: The Case of Keli Lane focused on the disappearance of Tegan as journalists Caro Meldrum-Hanna and Elise Worthington investigated old leads, discovered new information and witnesses, and tried to uncover the whereabouts of the missing baby. 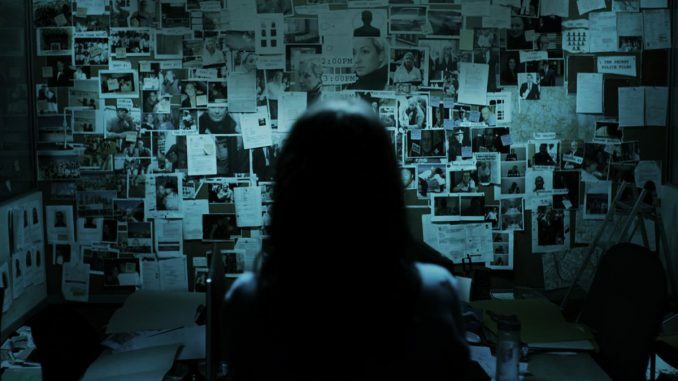 After the series finale aired, Meldrum-Hanna and Worthington said they were relying on the public to crowdsource fresh leads – and the ABC team is using social media to fuel the investigation. 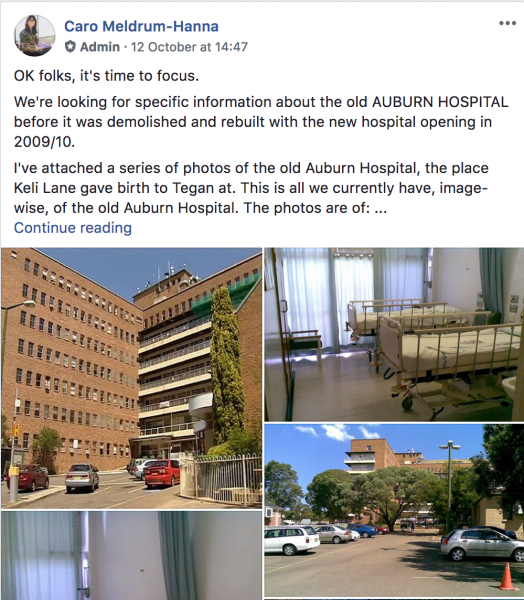 The ExposedABC Facebook group boasts almost 30,000 members and was created to provide updates and allow social media users to share tips, theories and put forth any questions they may have about the case. Across Australia, viewers of the compelling series have enthusiastically joined the hunt. The mysterious Andrew Morris/Norris faced scrutiny after Lane admitted she didn’t know if he had lied about his name. New information detailed the type of car ‘Andrew’ was supposedly driving the day Lane handed him the baby. The name of the taxi driver who allegedly picked Lane up from Auburn Hospital is still unknown. The reporters behind the story have been active on the Facebook group, appealing for information and trying to douse long-dispelled rumours and keep a lid on gossip and innuendo. While the concept of “amateur sleuthing” hasn’t yet got much traction in Australia, it has gained momentum internationally as social media users on platforms such as Reddit, Facebook and Twitter have taken to the internet to share theories and leads on controversial cases. Websleuths is one prominent online community dedicated to discussing mysteries and keeping old cases alive. The ABC’S Meldrum-Hanna and Worthington are in the process of following up leads and tips and have encouraged anyone with any information to assist them with their investigation. There were 6,557 taxi 🚕 drivers in Sydney in 1996. We’re trying to find one of them. You can join the Facebook forum here.